Flowdock is one of the oldest team collaboration tools on the market. Announced in July 2009, the app launched public beta in March 2010 – more than three years before Slack! Unlike its more famous competitor, Flowdock was initially designed for developers. Up to now, however, it has been adjusted for multiple professional groups. Slack was designed for the various types of teams since the very beginning, having launched in 2014. In 2019, Slack continues to grow at a quick pace, boasting 10 million daily active users and 85,000 paid customers. 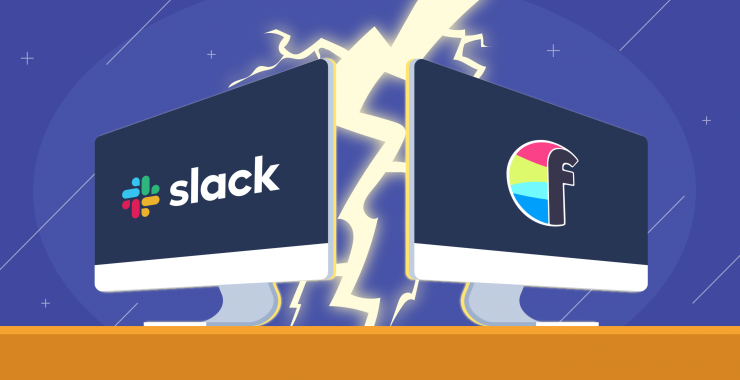 At Chanty, we’ve always been curious about both – Flowdock and Slack apps. 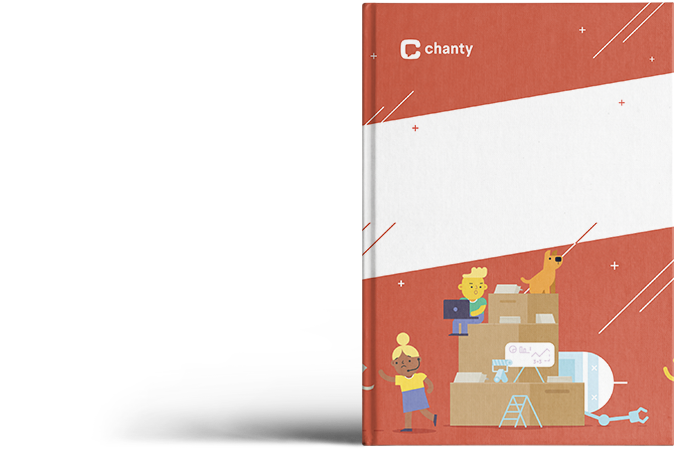 Exploring them as well as other team chat tools help us in building our own app – Chanty team chat with unlimited message history and a built-in task manager. Now let’s dive into some of the Flowdock and Slack features. How does a “shared team inbox with group chat” (Flowdock) compare to a “collaboration hub for work” (Slack)? 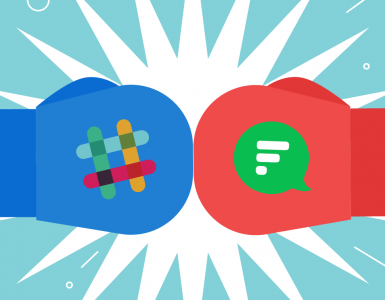 Flowdock vs Slack: Сan ‘Team Inbox with Group Chat’ Challenge its More Famous Competitor? For those of you in a hurry, let’s briefly review the key characteristics of both tools. First, let’s state the obvious. 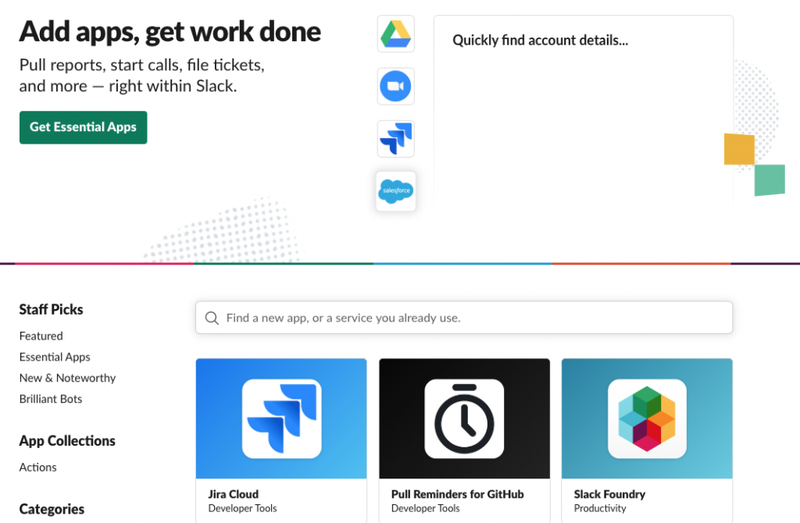 Slack does have Freemium version, while Flowdock doesn’t. You can use Flowdock without paying for it only if you have up to 5 people in your team. As an option, you can try the tool for free, for 30 days. Here’s Flowdock’s pricing as of April 2019. At the same time, Flowdock’s paid plans ($3 and $9 per user, per month) are significantly cheaper than the ones Slack offers ($6.67 and $12.50 per user, per month). 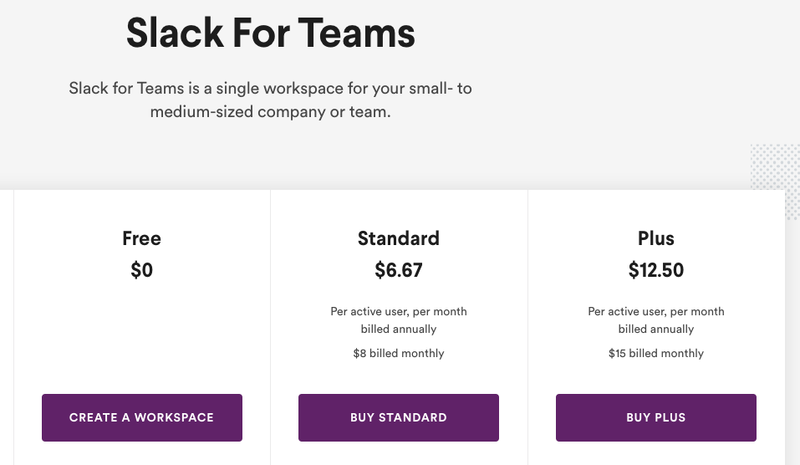 Here’s Slack’s pricing as of April 2019. If you consider choosing Slack’s Freemium plan, bear in mind it has some tough limitations, such as 10K message search limit. Signing up is fast in both tools. But in Flowdock it’s like super-fast. At least, if you sign up using Google, like me. Then you’ll have some of your personal information pre-filled. I didn’t even have to upload an avatar. Flowdock fetched my Gravatar, based on the email address. Flowdock doesn’t offer to add colleagues to your workspace when signing up. Also, I noticed no product tour in the tool. The same is true about Slack (as of April 2019). Instead, the tool offers some onboarding tips with prompts that appear in channels while exploring the app. Signing up in Slack involves creating your workspace and your first channel. In a word, signing up to Slack take just a bit longer, but it’s actually fast in both tools. The interfaces of both tools look much alike. The Flows (Channels) are listed on the left while messaging and collaboration space is on the right. There’s also a collapsible panel for different features. 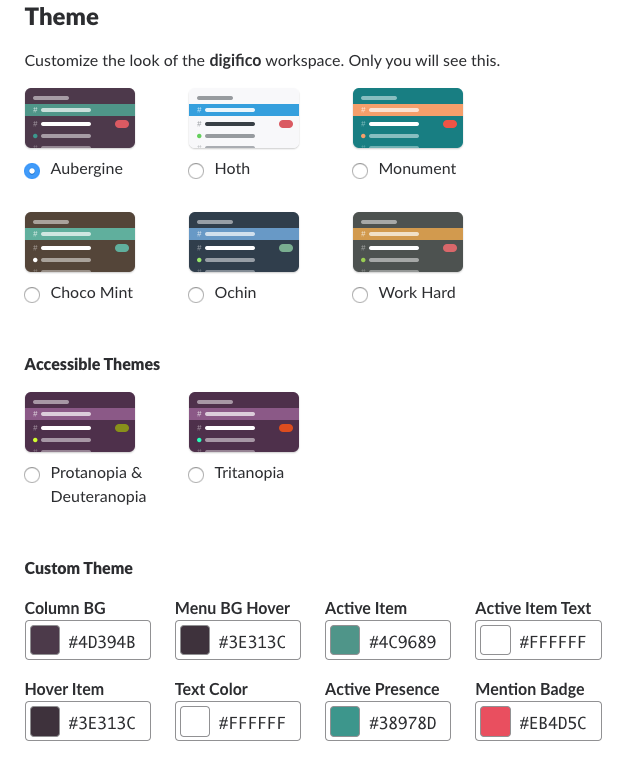 As for customization options, the left panel in Slack can be adjusted in any color you choose. In Flowdock, only two themes are available – Classic and Flowdark. 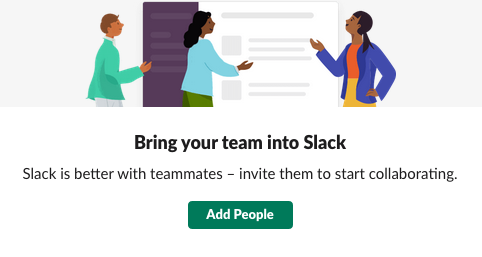 Both tools seem quite intuitive to use, but Slack is probably a bit ahead of the game when it comes to user experience. For example, when making a call, it’s quite clear how to do it in Slack. You should press the ‘hand receiver’ button. 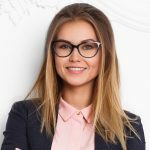 But when I just signed up to Flowdock, I actually got puzzled: how do I set up a video meeting here? There is no ‘call’ button or anything like it. I had to google my question to learn that the feature is realized via a slash command. How am I supposed to guess about it? This lead me to a thought that Flowdock can do better when it comes to UX. There are some significant differences when it comes to chatting in both tools. The most important one is that communication in Flowdock is organized in threads that preserve context for each discussion. Conversations are color coded for users to identify a topic and jump back into conversations. 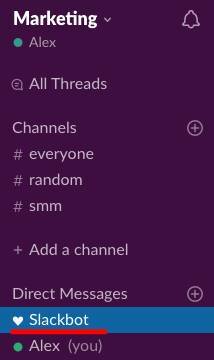 In Slack, threads are just a feature you can use if you like. The Channels are like chatrooms with a single-topic discussion. If a conversation diverges, a thread can appear. But this is not the feature Slack is based on. Also, unlike in Slack, you won’t find Threads feature in private conversations in Flowdock. In the long run, when choosing the tool, be sure to learn whether it is a thread-based or not. This might play a crucial role in your team chat communication. In many other aspects, the communication feature in Flowdock and Slack is organized by the same principle. The Channels in Slack have a similar function to Flows in Flowdock. Also, Direct Messages are basically the analog of 1-1s. At the same time, I noticed no group conversations in Flowdock. Slash commands are provided by both tools. There’s a special button for initiating them in Flowdock, while in Slack you should enter ‘/’ to enter a command. Slash commands act as shortcuts for specific actions – whether it’s writing an away message or changing your status. Here’s a feature available in Flowdock only. Every flow has an email address. You can copy it when emailing people outside your Flowdock so that your team can see what you’re communicating. Moreover, you can start an email to your colleague instead of a 1-to-1 conversation in Flowdock interface. Both tools provide multiple ways for customizing notifications – for web, desktop and mobile. 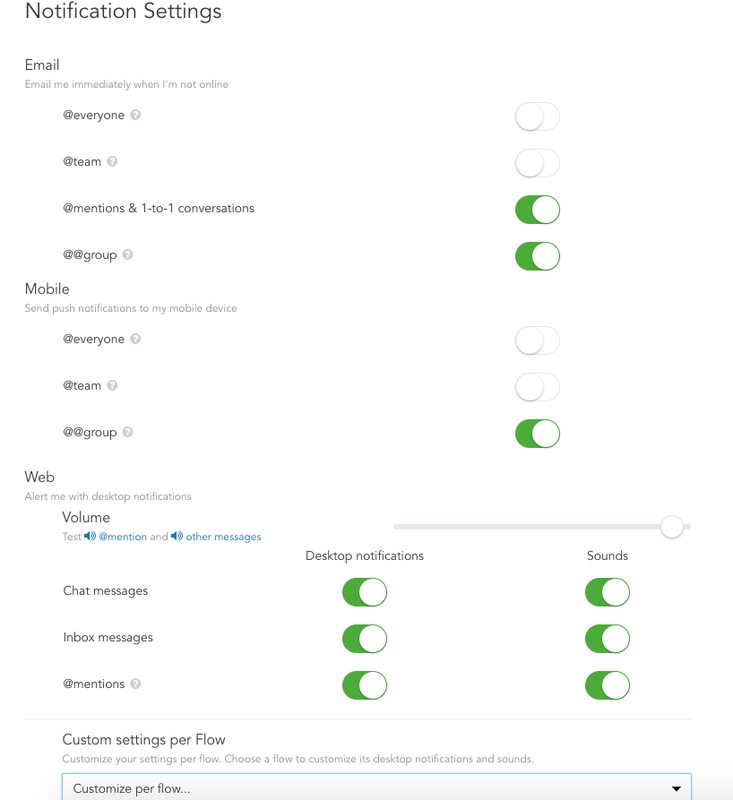 Having channel-specific settings and keyword alerts, Slack’s notification feature seems a bit more advanced to me. However, even those multiple and diverse features might not save you from being distracted. It really depends on your team using @mentions sensibly. If you have a huge team chatting in multiple channels, you can find yourself buried under tons of notifications. But I guess it’s not just a problem of Flowdock and Slack. Developers of all collaboration tools seem to be challenged now by the global growth of information. Slack’s search seems more advanced to me for two reasons. First, each time I search in Flowdock, I do it within a specific Flow only. But what if I don’t remember who did I send (or receive from) a message? Then, I would need to perform a search in each separate Flow, which might take much time. 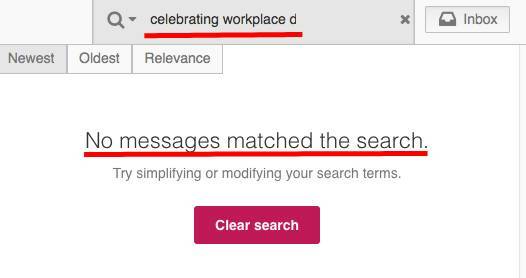 In Slack, however, I can search through the whole Workplace. Also, Slack performs search within the content of the documents. Long ago, I shared an e-book ‘50 ways to improve team communication’ in PDF. So I typed the name of a chapter ‘Celebrating workplace diversity’ to check whether I can find it via search. And it worked! I tried the same experiment with Flowdock. But unfortunately no use. Flowdock doesn’t seem to search within the content of your files. Need to share a file from your computer? Keep in mind, Slack has a bigger file upload limit. In Flowdock, the single file size is limited to just 200MB. Slack works with files shared from popular services like Dropbox, Box, and Google Drive. As soon as you add an integration, you can share files right within your messaging box. In Flowdock, however, there are no file sharing services among the list of integrations. 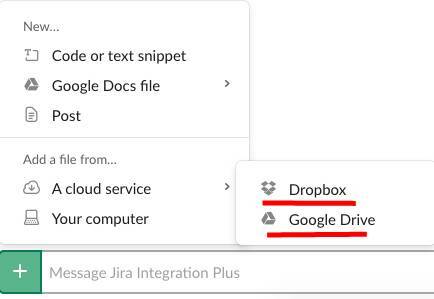 You can connect the tool to Google Drive and some other tools via Zapier, though. I didn’t find any information about file storage limit in Flowdock. In Slack, it’s 5GB for a team in Free plan. 10GB and 20GB per user are available in Standard and Plus plans. Unlike its competitor, Slack has a built-in call feature. In Flowdock, the audio and video meetings are available via integration with appear.in. This can create some additional expenses for users. The thing is Freemium plan in appear.in is designed for only 4 participants. If you need to have a conference with, let’s say, with 4+ of your colleagues, you’ll need to buy Pro plan, which is $9,99 per user, per month. Providing you are already paying $3 per user, per month, this might raise your expenses up to $12,99 per user, per month! In a word, using the feature will cost you a pretty penny. 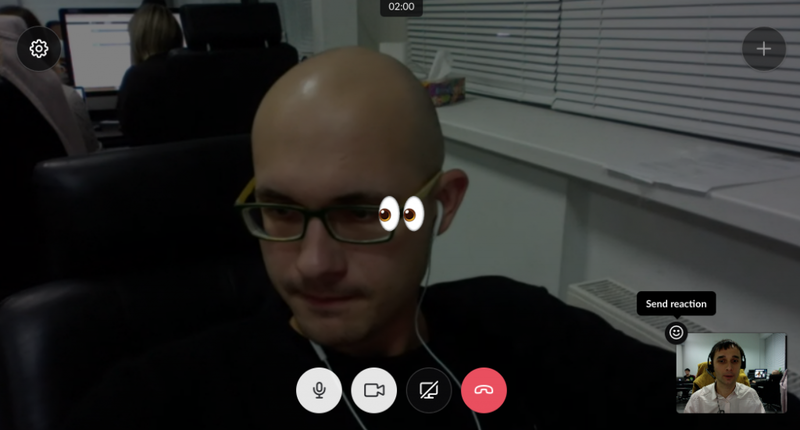 At the same time, I have no complaints about the quality of calls in appear.in. We’ve tested it recently and were quite satisfied. By the way, screen sharing is available within Free plan in appear.in. Video calls in Slack are also limited to one-to-one meetings, but only in the Freemium version. In paid plans, there can be a total of 15 participants within your call. As we know, Flowdock provides unlimited integrations with third-party apps. However, there are only 100+ of them while Slack has 1500+. 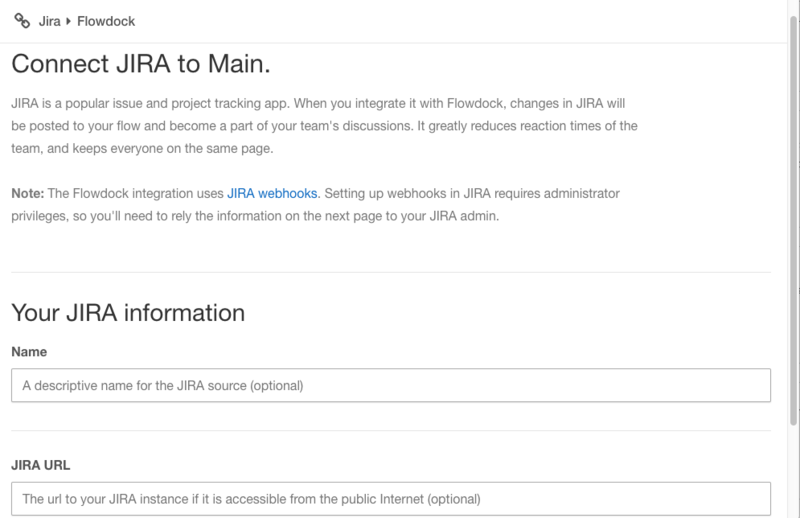 I tried to connect Jira to Flowdock just to test how the integrations are working. Everything went smoothly with the updates coming to the Flowdock team integration inbox. This is the feature I’ll describe below. Integration inbox is the unique feature of Flowdock. Basically, it’s a space for the updates from each of your apps. You can push anything into the team inbox, be it by email, RSS feeds, tweets. 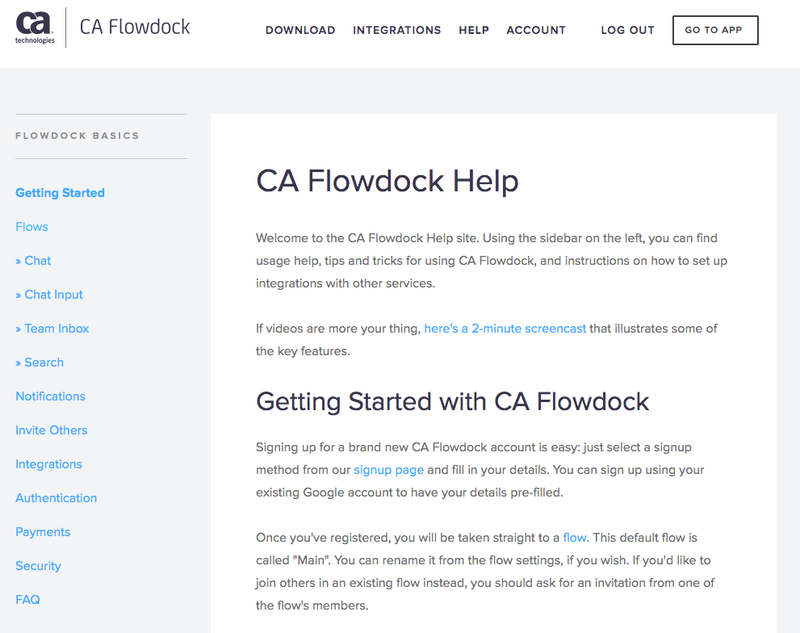 Or you can use some of CA Flowdock’s out-of-the-box integrations – GitHub, Zendesk, etc. Here’s how team inbox with updates might look like. 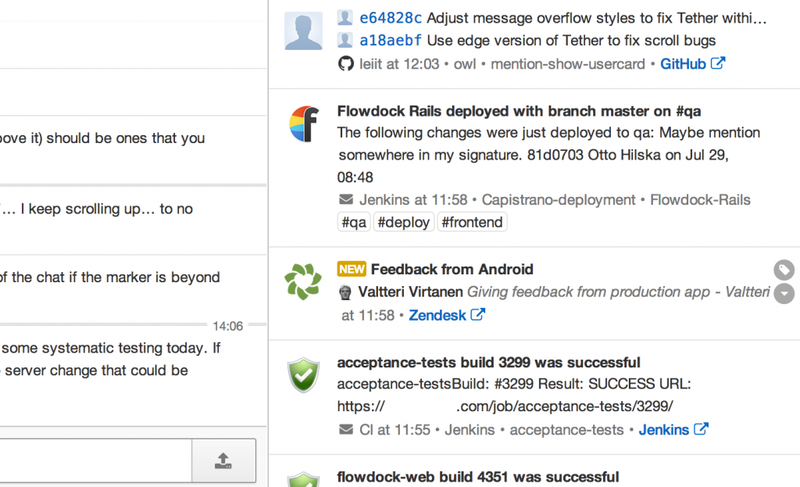 Along with Threads, Team inbox is the key feature of Flowdock. So be sure it suits your needs before buying a tool. 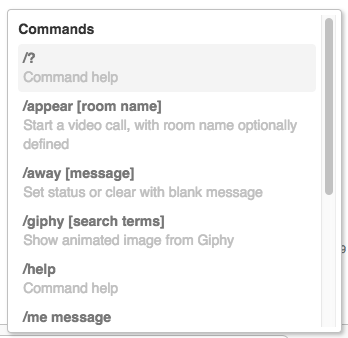 In general, I liked Slack’s ‘Help’ section more, mainly because it has the search feature. If I want, let’s say, to change my display name, I just type in a question and receive an answer. I might even find my question in the drop-down list. I didn’t notice the same feature in Flowdock. To learn how to delete a flow I should browse quite a lot of content until I find out how to do it. Also, Slack has a bot to give answers to your questions about the tool. If you don’t see it in the left panel, you can just type ‘Slackbot’ in the search box to find it. 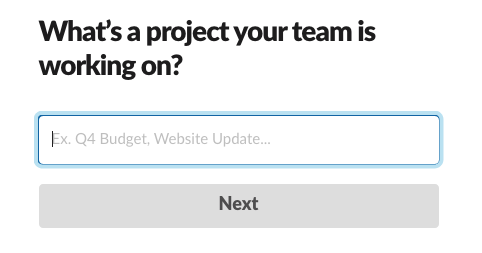 You can ask a question and get an automated answer, which will be relevant (hopefully). 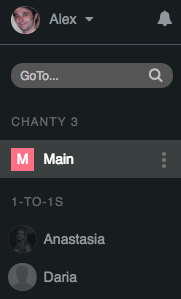 When I typed in ‘delete channel’ in the message box, I got the link to Slack Help Center. I didn’t notice any Help Bots in Flowdock, though. I’ve briefly compared some features of Flowdock and Slack. Let’s review the key messages below. Pricing. On the one hand, Slack is more expensive that Flowdock. 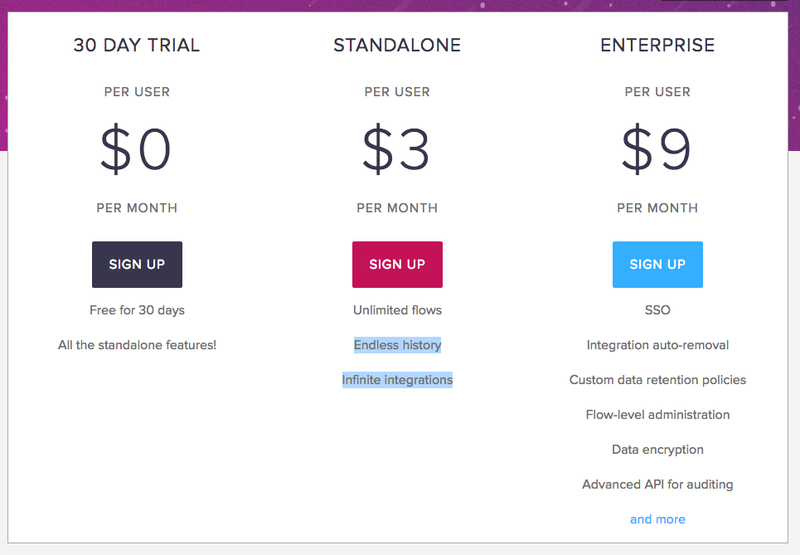 Flowdock’s cheapest paid plan is $3 per month, per user in comparison to Slack Standard plan which is $6.67 per active user, per month. On the other hand, unlike Slack, Flowdock doesn’t have Freemium version. Signing up and onboarding. Signing up seems a bit faster in Flowdock, however, it’s rather quick and simple in Slack too. Neither of the tools provides a product tour as of April 2019. Communication. In Flowdock, messaging is based on Threads, while it’s just a specific feature in Slack. Channels in Slack are basically the analog of Flows, as 1-1s in Flowdock are similar to Direct Messages. Notifications. 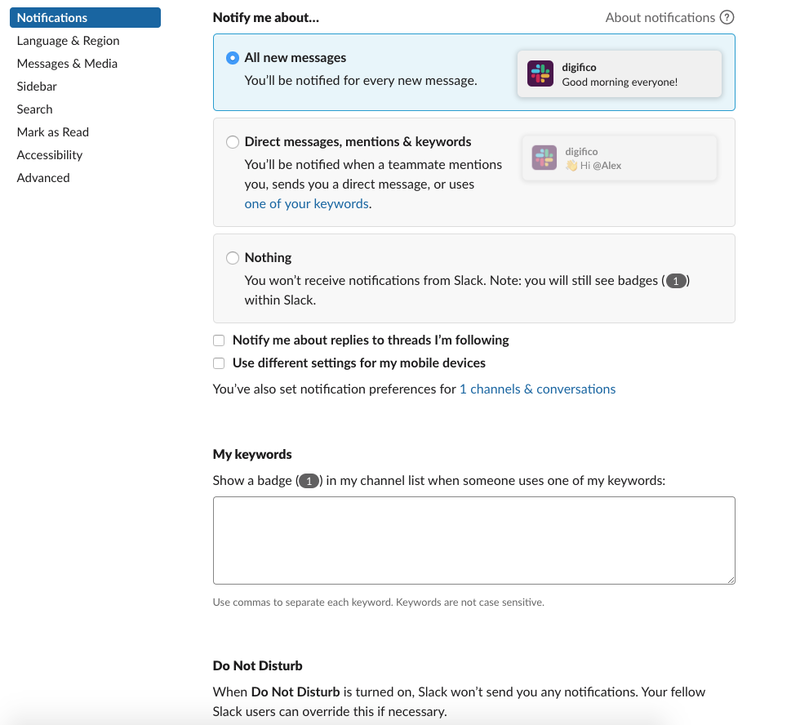 With keyword alerts and channel specific notifications, Slack seems a bit ahead of the game when it comes to this feature. At the same time, both tools have multiple notification settings for web, mobile and desktop. Search. Flowdock performs search within specific Flows only, while in Slack you can search within the whole Workspace. Unlike Flowdock, Slack searches within the content of your documents. File sharing. 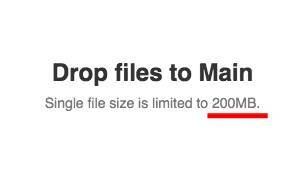 Single file size upload limit is 1GB in Slack comparing to 200MB in Flowdock. 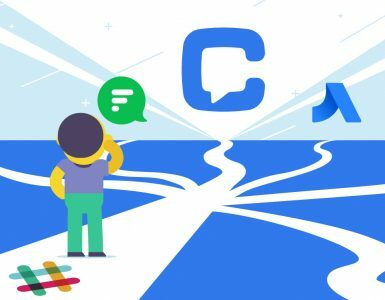 Also, Slack works with popular services like Dropbox, Box, and Google Drive, while there are no file management services in Flowdock’s list of integrations. Voice and video calls. Flowdock doesn’t provide you with a built-in tool for calls, while Slack does. 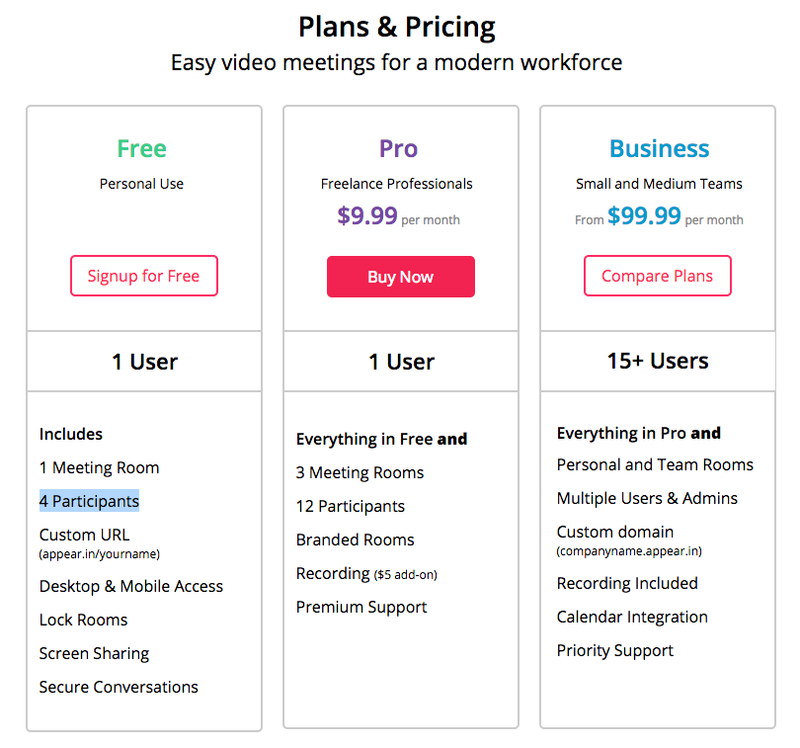 Be aware that to create meetings with more than 5 people via appear.in you’ll have to pay at least additional $9.99 per user, per month! Integrations. Team inbox is a distinctive feature of Flowdock – it’s a space where all your integration updates are stored. In Slack, there’s a specific channel for each of your integrations. Help and support. With Slack’s search feature within Help Center, it seems easier to find the answer to your question in the tool than in Flowdock. That’s all for now. Please, share your experience of using Flowdock or Slack – drop in the comments below. Try Chanty! It’s really great!